Metabolic syndrome is the precursor to Type 2 diabetes, which has become a worldwide health problem. There are approximately 890,000 Australians and 270,000 New Zealanders currently diagnosed with diabetes. In addition to these numbers, it is also predicted that there are thousands of people with undiagnosed diabetes. Type 2 diabetes was once only seen in adults over 40 years of age, however, it is now more and more common in younger people. High Blood Sugar Levels: Too Much of a Good Thing! Metabolic syndrome and Type 2 Diabetes is a condition related to problems with blood sugar levels (also called blood glucose levels) and insulin levels. For proper bodily functioning, you need to be able to convert glucose (i.e. sugar) from your food into energy. The hormone that is required for glucose to enter into cells to be broken down is called insulin. Diabetic patients have problems with their insulin production, so when a diabetic patient eats sugar (e.g. from sweets, breads, cakes, biscuits, cereals) it cannot be converted into energy and stays in the blood, causing high blood glucose levels. Having high levels of glucose in your blood for prolonged periods of time can cause blindness, kidney problems, cardiovascular issues, and many other health complications. The good news is that lifestyle related blood sugar irregularities are avoidable if you focus on having a healthy diet and exercising regularly. What are the risk Factors for developing Metabolic syndrome and blood sugar irregularities? Does your daily diet contain high amounts of sugars and/or refined carbohydrates? Do you have a sedentary lifestyle and lack regular exercise? 2 to 4 pm energy slump. Frequent urination and/or recurrent urinary tract infections. Trouble losing weight – especially weight around your waist. If you answered ‘YES’ to any of these questions, or experience any of these early warning signs, speak to us today about how we can help you to prevent this condition. Speak to us today about which herbs and nutrients may be beneficial for you. As well as taking some of the Natural Medicines mentioned here, you can reduce your risk of developing metabolic syndrome or blood sugar irregularities by also implementing some dietary and lifestyle changes. Maintain a healthy weight. 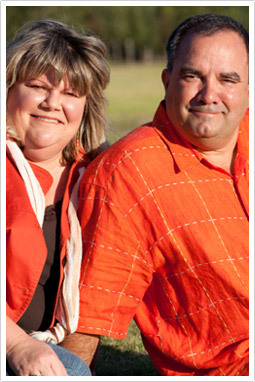 If you would like to lose some weight, ask us about the professional weight management program we offer. Eat small, regular meals containing protein rich foods such as fish, lean meat, legumes, nuts, and eggs to keep your blood sugar levels stable. Include plenty of fresh fruit, vegetables, nuts and seeds in your daily diet. Avoid eating too many overly processed and sugar containing foods – especially high carbohydrate foods like breads, cakes, biscuits and pastries. Save these foods for special occasions only. Limit alcohol consumption. Aim for a moderate intake of alcohol and have at least two alcohol free days per week. Include regular exercise into your lifestyle for healthy weight maintenance. By making some simple changes to your diet and lifestyle, and by taking the appropriate supplements, you may be able to prevent metabolic syndrome or better manage your blood sugar irregularity. Take a proactive approach and consult one of our highly qualified naturopaths at MNMC today. You can make an appointment online, email us, or phone us on (03) 96862566. Our clinic in 49 Chetwynd St, North Melbourne, is open six days a week.